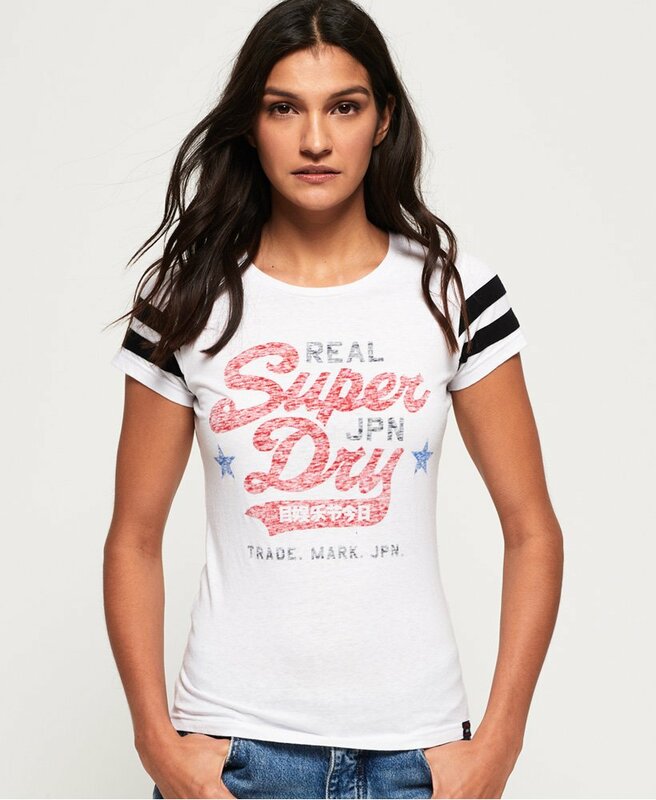 Superdry women’s Real Vintage Logo t-shirt. This classic short sleeve t-shirt features a crew neck and a faded Superdry logo graphic on the chest for that Vintage feel. Completed with stripe detailing on the sleeves and a small Superdry logo tab on the hem, this t-shirt will look great paired with your favourite jeans.